There’s been a lot of talk about how the parish general fund is going broke, but there’s been little analysis of how that financial reality is impacting the city general fund given Lafayette’s current form of consolidated government. To start, let’s define a few concepts. The general fund is the money used to fund government operations like the mayor-president’s office, the council’s office, and the financial and IT departments, and to subsidize shortfalls in dedicated funds. The city and the parish maintain separate general funds, a result of Lafayette’s only partially consolidated government. According to the budget proposed last week, in the upcoming fiscal year the city general fund will bring in just over $100 million and end the year with a fund balance of almost $40 million. The parish general fund will bring in less than $12 million and end the year with a fund balance of about $100,000. The fund balance is how much money is projected to be carried over from one year to the next. It’s the money government has to spend to cover revenue shortfalls or cost overruns or to fund new initiatives. When observers say the parish general fund is going broke, what they mean is that the parish government is effectively living paycheck to paycheck. With no savings and declining revenues, state-mandated expenses for services like the court, DA’s office, and jail are using up an ever greater percentage of the available general fund, taking up approximately 55 percent of the general fund next year. The parish has reached a point where it can’t afford to pay for government operations and infrastructure maintenance, as well as those state-mandated expenses that don’t have sufficient dedicated millages. That’s why this upcoming year’s budget includes across-the-board cuts of 4 percent to all parish funds except roads, bridges and drainage, as well as 25 percent reductions to expenses related to the parish general fund, including the volunteer fire departments and emergency operations center. Despite these cuts, the parish general fund will still be left with a fund balance of less than 1 percent. The city general fund, however, is healthy. Despite flat-lining tax revenues, the city side of the ledger maintains a fund balance that’s almost double the 20 percent reserve goal set by LCG policies, in large part because of the $23 million LUS contributes annually as a payment in lieu of taxes. 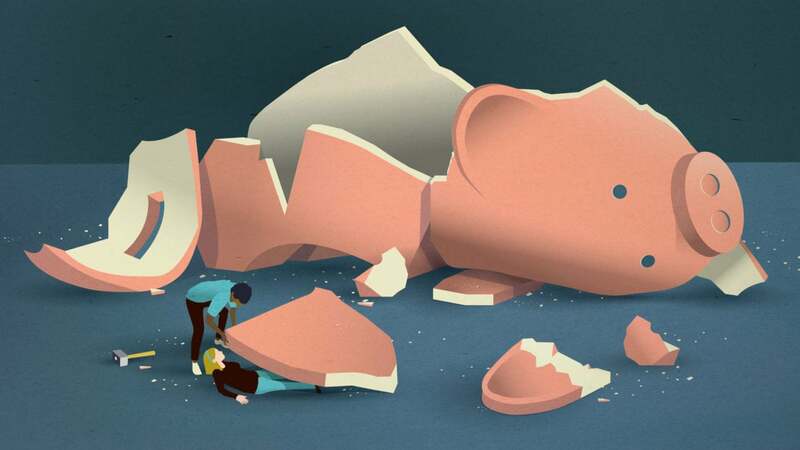 When it comes to covering the costs for shared services and operations — like the office of the mayor-president, salaries for public works employees or the legal department — these divergent financial realities create a conflict. The parish can’t afford its fair share. The resulting cost allocations result in a de facto subsidy paid by city taxpayers to the parish portion of the shared budget. Cost allocation is the heart of consolidation’s madness, and how it’s calculated each year is a complicated mess. Shared burden is not uniform from office to office. Despite flat-lining tax revenues, the city side of the ledger maintains a fund balance that’s almost double the 20 percent reserve goal set by LCG policies, in large part because of the $23 million LUS contributes annually as a payment in lieu of taxes. To pay for the mayor-president’s office, the city-parish council’s office and the development and planning department, the cost is split 82 percent by the city and 18 percent by the parish. 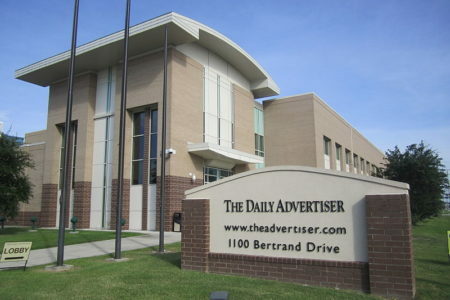 But to pay for the accounting and budgeting department, 83 percent is paid by the city and 17 percent by the parish. There are 24 different formulas used to calculate the fairest way to allocate the various costs of consolidated governmental operations between the city and parish general fund. Yet nearly all of them boil down to a simple proposition in practice: What can the parish afford to pay? Putting aside how these ratios are calculated, what’s more important for this analysis is to recognize how the parish’s financial struggles arguably hamstring the city’s ability to operate. Here’s the crux: As it stands today, the city could afford to do things like add staff or raise wages to attract higher caliber talent, but the parish wouldn’t be able to pay its share. That means the city’s progress moves at the pace of the parish budget. Where does this show up? This year, for instance, the proposed budget does not include a cost-of-living increase for LCG’s employees. When salaries don’t keep up with inflation, you’ve created a de facto pay cut. While the city could afford to give its employees this increase, it’s the parish that just doesn’t have enough money. But the costs to the city of the parish’s financial troubles don’t stop with paying salaries for consolidated government. They also include deferred maintenance of critical infrastructure because the parish can’t afford to take care of its own assets. Take, for example, the Downtown Buchanan Garage. There’s a deal on the move to have the city buy it from the parish for $770,000. A primary purpose of this facility has been to provide parking for the parish courthouse. But years of neglect have left it so dilapidated that it will most likely need to be torn down and rebuilt. That puts the city in a bit of a bind. It’s being asked to take this liability off the books to the benefit of the parish. The city will pay market value for a functionally obsolete parking garage and shoulder the burden of its demolition or liabilities. The failing finances of the parish will only continue to increase their burden on the city’s general fund as evidenced by the fact that there are a number of services that arguably serve the parish that are only being subsidized by the city. For example, LCG’s three golf courses receive $660,000 in annual contributions from the city general fund and none from the parish, even though one of the courses is not located in the city of Lafayette. The problems created by the parish’s financial shortfalls don’t just affect the parish of Lafayette, they also affect the city’s bottom line. This is, after all, consolidated government. Put simply, even though the city general fund may be healthier, it’s not strong enough to carry the parish’s water too. Consolidation was intended to create a partnership. But for that partnership to work, we need a parish that’s solvent. So how would the proposed changes to the consolidated government (i.e. the creation of a City Council) affect this? Proponents of the split council would argue that the new arrangement gives the city more control over its own budget. Joint budget items — cost allocations etc. — have to be approved by each council. So the thinking is the city council can say no to unfavorable allocations. Of course, a structural change won’t create new revenue for the parish. N.B. : All three golf courses are within the corporate limits of Lafayette, although Vieux Chenes and The Wetlands are at the very fringes of the city. To Brian Miles’ point, though: Splitting the City-Parish Council into a City and a Parish Council would have the effect of making the Parish councilors more accountable for and, hopefully, more focused on the needs of the Parish. That won’t magically create money, but the parish has certainly been lost in the shuffle. One Councilor whose district lies almost entirely outside of the City estimates that 80% of his time has been spent on City issues. Further, most of the hot-button issues have been City issues. Having a Parish council should bring much more focus to Parish needs. Lafayette can be the next great American city. But only if we recognize that we can’t build consensus in a vacuum. 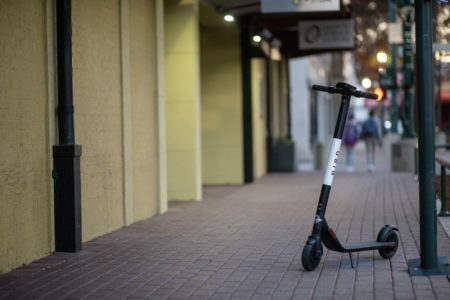 First, Bird flew in 100 scooters overnight. Now, Lime has rolled 25 of its custom-made scooters into town this week, making Lafayette the latest skirmish in 2018’s dockless scooter war.